From residential and municipal water treatment to pharmaceutical product purification, and from food and beverage decolorization to energy storage, and much more — Calgon Carbon delivers a wide array of custom-engineered powdered activated carbons to better meet your needs. Powdered activated carbons (PAC) are defined by the ASTM as particles passing through an 80-mesh sieve (0.177 mm) and smaller. Calgon Carbon Corporation manufactures many types of powdered activated carbon products, each specifically engineered to provide a unique pore structure and adsorption properties. The adsorptive capacity of Calgon Carbon’s powdered activated carbon (PAC) makes it ideal for removing a variety of contaminants from water, air, liquids and gases. With efforts to be environmentally responsible, Calgon Carbon can reactivate spent Granular Activated Carbon (GAC) through thermal oxidation to make “react” PAC. As one of the largest manufacturers of powdered activated carbon (PAC), Calgon Carbon backs its products with comprehensive analytical support including feasibility studies and cost evaluations, together with complete system design, service, and troubleshooting. You get the expertise of an industry leader in powdered activated carbon backed by a commitment to service you can trust. Calgon Carbon has unmatched experience in powdered activated carbon product development, research and applications technology. That means whatever your powdered activated carbon need, Calgon Carbon has a product engineered specifically to provide a better solution. Calgon Carbon will collaborate with you to determine the appropriate powdered activated carbon product based on your specific needs and goals. A call to Calgon Carbon to discuss application requirements will determine the optimum product selection for your application. 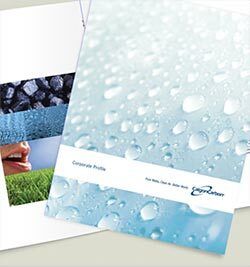 Industry-leading PAC products are the proven top performers in the removal of mercury. Used by governments and municipalities around the world to provide safe, clean drinking water. Cost-effective solution for treatment of industrial waste discharges and effective in the removal of numerous contaminants from groundwater. Last line of defense for removing harmful contaminants from drinking water. Purification for liquid-phase applications in chemical and petroleum refining industries and for gasoline- vapor recovery equipment. Remove impurities such as color and odor from food liquids, syrups, organic acids, amino acids, vitamins, beverage alcohols and glycerin. Purify many products in the medical and pharmaceutical industries, including water, antibiotics, steroids, and vitamins. Carbons developed for the ultracapacitor market have been tested in full-scale production and approved by the largest ultra capacitor manufacturer.